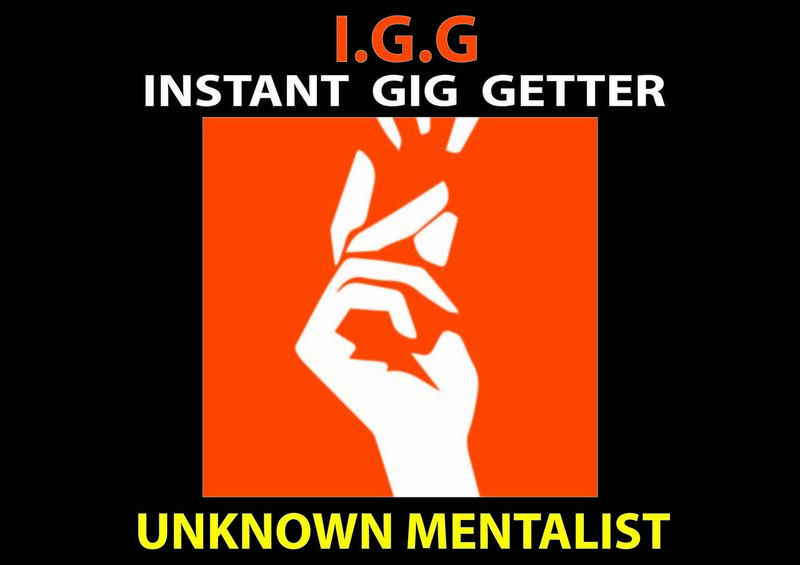 Today, when you order "IGG Instant Gig Getter (Gimmicks + Pdf) by Unknown Mentalist", you'll instantly be emailed a Penguin Magic gift certificate. You can spend it on anything you like at Penguin, just like cash. Just complete your order as normal, and within seconds you'll get an email with your gift certificate. This is an intro price and will go up to $18 from February 27, 2019. Right in the beginning, you push a single playing card into the participant's pocket without showing it to him. Then you ask him to check the playing card against his date of birth which he does. He will be shocked to see that it is exactly the same card which he takes out from his own pocket. As a nice kicker, even a word against his date of birth is impossibly predicted by you and you also explain the hidden meaning of that word. Most likely you will get that gig. No sleights, no stooges and no pre show. No stack, no gaff playing cards and in fact no playing cards at all. No peeks, no tears, no impressions, no threads, no electronics, no PA or BA. The prediction is totally open and ungimmicked. This is simple, easy, clean and direct. Everything you will need is included here and you can start performing right away. Special Revelation - A very special revelation idea is also included which may alone be possibly worth the cost of the entire offering. Here you ask the participant to openly read the prediction aloud right at the beginning. Then after the routine, when the participant again reads the same prediction aloud, the revelation will hit him hard in the face in a very unconventional and innovative manner. Also included are several alternate revelation ideas.